Singer/actress Jennifer Hudson performs during the 21st annual Keep Memory Alive "Power of Love Gala" benefit for the Cleveland Clinic Lou Ruvo Center for Brain Health honoring Ronald O. Perelman at MGM Grand Garden Arena on April 27, 2017 in Las Vegas, Nevada. 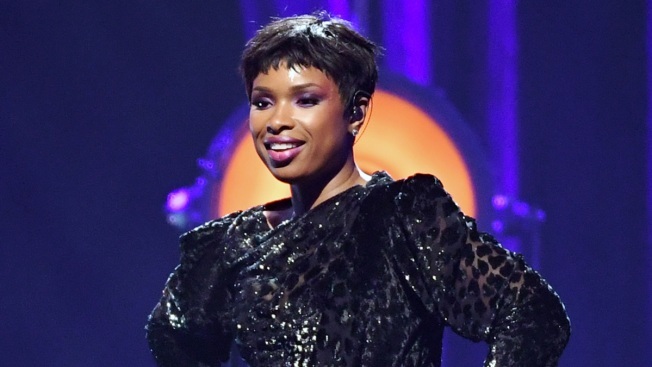 The Grammy Award-winning artist Jennifer Hudson is set to join NBC's singing competition show "The Voice" for the upcoming 13th season. Hudson is joining a star-studded lineup from the previous season with country superstar Blake Shelton, the newly rebranded Miley Cyrus and Maroon 5's Adam Levine. The "Dreamgirls" singer will be replacing Alicia Keys as a mentor. Keys told AOL one of the reasons she won't be coming back to the show is because she is focusing on her new music. Hudson tweeted her enthusiam for the project, saying "Let’s do this #TeamJHud!! See you in the fall." "The Voice" airs Mondays and Tuesdays at 8 p.m. EST on NBC.